The Formentera Council's social welfare department announces that from February 23 to March 4 enrolment will be open for the Council's course on social and cultural integration, now in its twelfth year. Department head Vanessa Parellada said “the course is held twice annually, once in November and again in March, the idea being to help immigrants on the island integrate and complete necessary administrative formalities”. This round of classes will begin March 5 and finish the 28th. Space is available for 15 and spots will be awarded on a first-come first-served basis. Individuals interested in enrolling are asked to inquire at the social welfare office from 9.00am to 2.00pm, and a valid ID (temporary residence card [NIE] or passport) is required. 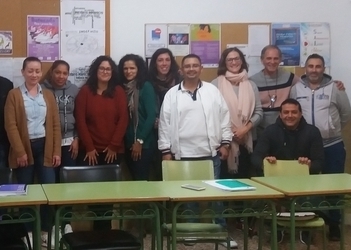 Conducted over 20 hours in two weekly sessions, Tuesdays and Thursdays from 4.30 to 7.00pm, the free course will be held in the large classroom of the adult learning centre (Escola d'Adults). Topics covered will include, among others, Spain's constitutional values, human rights and civil liberties, the Balearic Statute of Autonomy, the European Union and gender equality. Aimed at familiarising students with the various subjects and helping them obtain the associated accreditation, the classes are mainly geared towards immigrants, particularly those wishing to renew their residence permit, prepare for the CCSE citizenship test or demonstrate integration during the early phases of their stay in Spain.